Grew up… in Giancaldo, a small village in Sicily. It was a very traditional Catholic upbringing in a very devoted and conservative village, but not too overbearing. There were many children, and they were all allowed to grow up, make mistakes, play and fight. If it wasn't for his older friend Alfredo encouraging him, he may have never left. Living… in Rome. It was there that he got the call from his mother, informing him of Alfredo’s death. Now he’s back in Giancaldo, Sicily, for the first time in 30 years. The ghosts of his childhood are everywhere. Profession… film director as an adult. As a child, he worked in the Cinema Paradiso with Alfredo. Alfredo taught Salvatore how to be the projectionist, and in return he got to see all the films for free. That was the beginning of his love for film, and Alfredo taught him what he needed to know. Interests… film. Salvatore has been obsessed with it ever since he was a child. 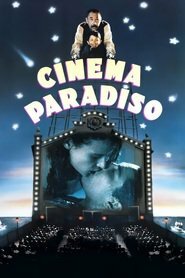 Of course, he also enjoyed playing around with his friends, but he could never wait for school to get out so he could go to the Cinema Paradiso. Challenge… making peace with his childhood. It's been a big change coming back to the place of his youth, the land he left to pursue his own dreams so long ago. He thought to really have a future he couldn't have a past. He tried to bury the pain with forgetfulness; he tried to forget who he was. As he puts it, “Progress always comes too late.” But maybe it's not too late for him after all. Personality… nostalgic. As a child in the village, Salvatore felt like he was the center of the universe; it seemed like nothing would ever change. Then he went away, one year, two... And when he came back, everything was different. He can’t find what he’s looking for – those things no longer exist. He's now rediscovering his home. Salvatore Di Vita's popularity ranking on CharacTour is #4398 out of 5,000+ characters. See our top-ranked characters and read their profiles.